The new 2013 BMW 3 Series has done something no other car has ever achieved. 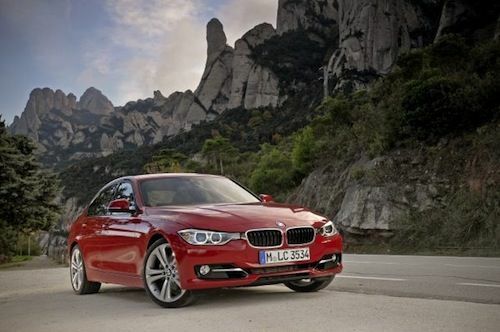 The 3 Series has been named to more consecutive 10 Best Lists than any other car on the planet. BMW has announced that the sixth-generation 3 Series has been named to the Car and Driver 10 Best Cars list again for 2013, marking the 22nd consecutive 10 Best win for the BMW 3 Series. No other car around the globe has achieved such an unbroken string of wins. In order to pull off such a feat, the BMW 3 Series has consistently delivered on BMW’s promise that the brand is “The Ultimate Driving Machine.” And to do it for 22 straight years is an incredible accomplishment. The 2012 BMW 3 Series has also received its fifth most tradition-steeped and renowned automobile prizes in Europe, the 2012 “Golden Steering Wheel” award. The 3 Series has also won this award more frequently than any other car on the market. For the 2013 model year, the 3 Series offers a wide number of models for buyers and is available as a Coupe, Convertible, and Sport Wagon. The cars all share “the common theme of traditional BMW values,” which are responsive engines, compact dimensions, a near-perfect 50/50 weight distribution, and a driver-connected feel to the road. All variants also come in two-and all-wheel drive configurations. For 2012, BMW launched the all-new BMW 328i and 335i Sedans. The 328i features BMW’s new TwinPower Turbo 2.0-liter 4-cylinder engine. Both Sedans feature an 8-speed automatic transmission and Auto Start/Stop technology designed to increase fuel efficiency. New for the 2013 3 Series, will be two new diesel engines that the German automaker is introducing to the U.S. market. BMW will offer a 2.0-liter four-cylinder diesel engine that produces 180 horsepower and 280 lb. ft. of torque. The oil burner will feature the latest direct-injection technology and will be turbocharged. BMW says the new engine will be their highest mileage engine and will outperform their hybrid offerings. BMW will also offer a 3.0-liter in-line six diesel engine that will pump out 255 horsepower with an undisclosed amount of torque. BMW claims the U.S. variants will see “significant mileage improvements” over the current 35d engine found in the 3-Series and X5. The engine will likely come matched to an eight-speed automatic transmission. BMW isn’t the only German manufacturer who is bringing the fuel-efficient powerplants. Audi has just announced the arrival of four new diesel cars for the U.S. market. The BMW 3 Series is an icon for the brand and remains to this day the quintessential BMW. The 2013 BMW 3 Series is the most important product line for BMW and the benchmark for its class. Making the 22nd consecutive Car and Driver 10 Best Cars list is quite an accomplishment and very well-deserved.